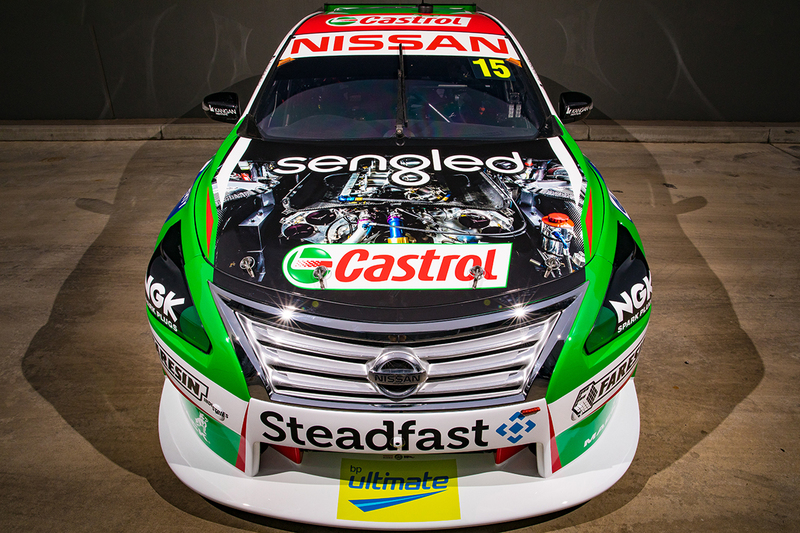 Rick Kelly’s Castrol Altima will feature a unique bonnet to illustrate Nissan Motorsport’s Supercars engine in the Watpac Townsville 400. The Winton race winner’s usual, predominantly green bonnet has been traded for a black variant featuring an overhead image of the VK56 powerplant. Kelly sits eighth in the standings, having also taken a pair of podiums at Phillip Island in April and an ARMOR ALL Pole at Hidden Valley last time out. 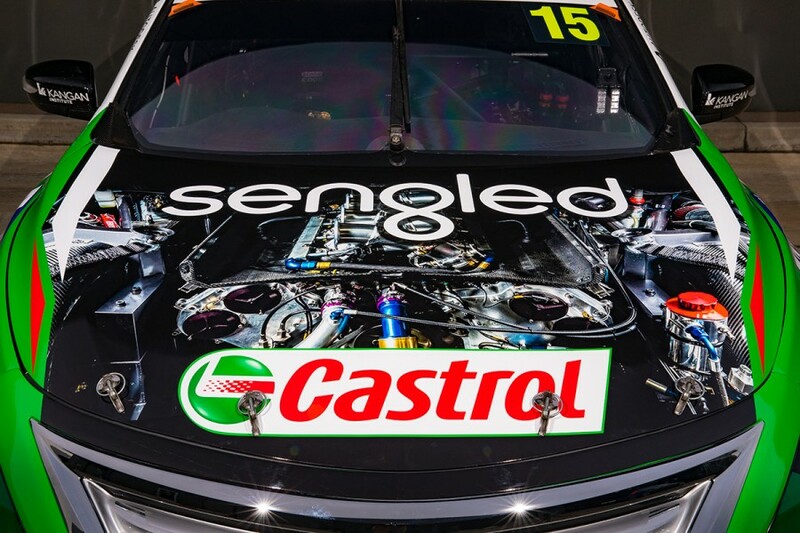 “The Castrol livery already looked amazing, so it’s a case of less is more,” said Kelly. “The engine is the heart of the race car, so it’s great to be able to feature it with this design. “Castrol has been with us since the beginning of Kelly Racing in 2009, so it was really rewarding to represent them when we took victory at Winton. 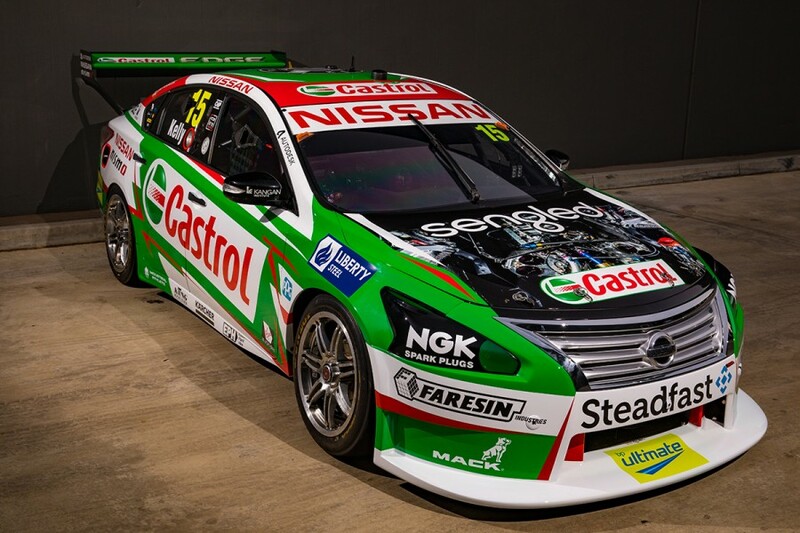 Accompanying the livery tweak, Castrol and the Nissan squad have put together a new video series featuring Rick and Todd Kelly and key team personnel. “We’ve been very busy going up to Mildura and all over the race team to give everyone an insight into how much we rely on Castrol every day,” Kelly added. “It Flows Through Our Veins brings to life the magnitude of the partnership with Castrol. Of the other Nissan drivers in the standings, Michael Caruso is 15th, Andre Heimgartner 19th and Simona De Silvestro 22nd. General manager Scott Sinclair believes the Townsville weekend represents "a real test" for the team, with 12th its best finish at Reid Park 12 months ago.